Stephen E. Hoy, founder of Stephen E. Hoy Contracting, Inc., got his start in the construction trade in 1990. 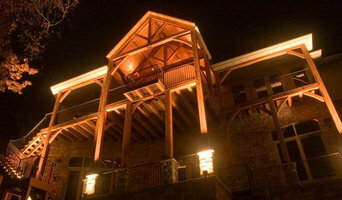 He cut his professional teeth on carpentry, taking on all kinds of home construction and home remodeling work. Pretty soon residents of the Springfield, MO and surrounding areas including Stockton caught on – this guy knew what he was doing, and he did it well. The proof was in his finished work. Today, you can count on Stephen E. Hoy's carpentry and construction management experience to bring your dreams for a quality custom home to life. From modest starter homes to million dollar+ mansions, our Bois D'arc, MO based general contractor will put his expertise and project management skills to work for you. At Stephen E. Hoy Contracting, we stick to our guns. If our timeline for completion of your new home was set at 10 months, we'll do what it takes to complete the work within that timeframe. Our word is our bond. In like fashion, when we agree upon a budget, we won't exceed it. Many of our new home construction clients in the Springfield area have been surprised (pleasantly, we might add!) when our work actually comes in under budget. Stephen E. Hoy Contracting does broad-based general contracting work throughout the Springfield, MO area including Stockton. In addition to new home construction, we are also adept at home remodeling, renovation work, home additions and carpentry of all sorts. You can count on us to manage your next Springfield, MO construction project with skill and attention to detail. Questions about what Stephen E. Hoy Contracting can do to make your home construction or home improvement dreams come true? Call us today at 417-319-1804. We are the best home builders in the Republic, MO area. Please contact me for all your home building needs! For Springfield residential home builders who also act as developers, the job starts well before the first nail is driven. They perform local market research to determine whether the prospective homesites make sense in the Springfield, MO market, as well as survey the land on which the house will be built to make sure it is suitable for construction. Custom builders also obtain the necessary permits. 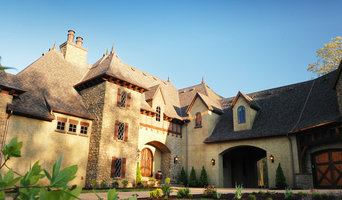 A good custom home builder in Springfield, MO has skills that go far beyond construction — he or she must supervise subcontractors and artisans; keep tabs on local zoning regulations, building codes and other legalities; inspect work for problems along the way; and perform dozens of other roles that are essential in building a quality house. Here are some related professionals and vendors to complement the work of home builders: Interior Designers & Decorators, Landscape Architects & Landscape Designers, Architects & Building Designers, Kitchen & Bath Designers, Specialty Contractors. House builders are responsible for ensuring that the home-building project sticks as closely as possible to the specified timetable, particularly in the event of change orders. Custom and luxury home builders in Springfield, MO also need interpersonal skills to deal with clients of all types, soothe frazzled nerves, negotiate conflicts and resolve problems. 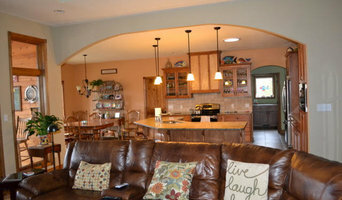 Find custom home builders in Springfield, MO on Houzz. Narrow your search in the Professionals section of the website to Springfield, MO home builders. You can also look through Springfield, MO photos to find a house you like, then contact the builder who worked on it.